In January 2017 the Center for East European and Russian/Eurasian Studies and the Seminary Co-op Bookstore decided to formalize our partnership and we created A CEERES of Voices, an author-centered series of readings and conversations on books from or about Central and Eastern Europe, Russia, Central Eurasia, and the Caucasus. 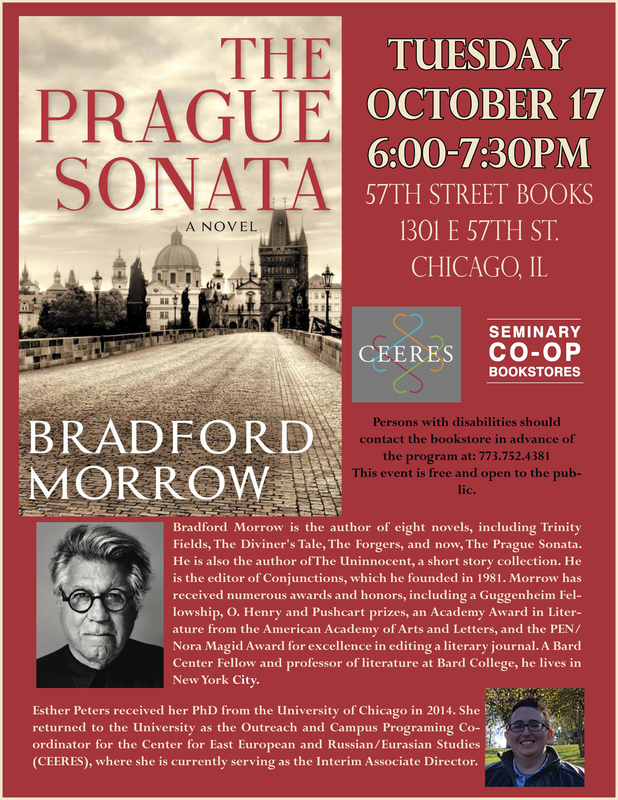 On October 17, 2017 the CEERES and Seminary Co-op Bookstore and opened this year’s CEERES of Voices with a discussion of The Prague Sonata with novelist Bradford Morrow and Esther Peters. If you missed any of last year’s events you can watch interviews with the authors here. We are excited that this series is continuing this year. 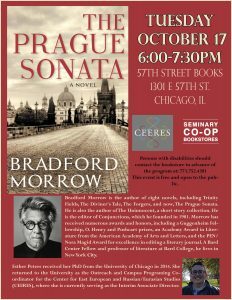 This entry was posted in Interview and tagged Bradford Morrow, CEERES of Voices, music, Prague, Seminary Co-op Bookstore, The Prague Sonata. Bookmark the permalink.